23andMe orders typically ship 1-2 business days from the time of purchase, pending credit card verification. The 23andMe store offers three shipping methods - your shopping cart will display each method and the associated fees for your order. Orders that include more than a single kit are automatically discounted for additional shipping costs. 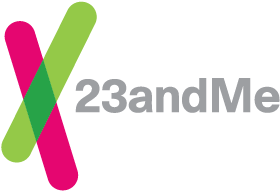 Your 23andMe order will include pre-paid return shipping supplies for each kit in your order as well as detailed return instructions. *Listed Shipping Price is for the first kit in your order. Each additional kit includes an added $5.00 shipping fee. If your order does not arrive within the estimated timeframe, please allow an additional 2 business days before contacting Customer Support. Additionally, check with anyone who may have accepted your delivery, like other household members, neighbors, or someone who accepts mail for your building. Please Note: Express shipping includes expedited shipping of the product purchased to the recipient and standard return shipping to the lab. We do not offer one-day or overnight return shipping options or expedited shipping to the lab.